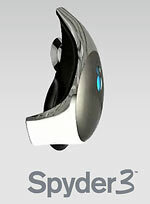 The Academy has teamed up with datacolor to bring their Spyder 3 Elite display calibration tools to our workshops. At our Steamlined Digital Workflow and Inkjet Printing workshops, we'll go into detail about how to calibrate your monitor the professional way. In addition to a whole host of other topics at these workshops, we are going to thoroughly cover calibration of LCDs, CRTs and laptop screens. We'll go through how to set up your system for changing ambient light conditions using the Spyder 3 Elite's embedded ambient light sensor. We'll have a number of test units setup and ready to go at the workshops, so you can calibrate your laptops in real time. Join us for these marquee workshops as we show you the best way to streamline your digital printing workflow. Don't forget about the kickoff workshops of 2008! We still have seats available in Houston, San Francisco and Los Angeles. Our initial workshops will be D200 Advanced, iTTL Flash, D70/D80 and D200 In Depth. This is going to be an exciting year of great workshops all around the USA. Our most popular travel workshop right now is Banff, Alberta. We have just a few spots remaining for photographing in this beautiful section of our planet. If you've ever wanted to photograph the alpine lakes and mountains of the Canadian Rockies, then don't let this May 21-May 24 workshop pass you by. We have many more currently on the schedule and a couple of additional ones to add to Yosemite Nationla Park and the Olympic Mountains National Park. - Advanced Digital Imaging Workflow. Here we'll go in depth into Capture NX and use this amazing program to prepare images for prints. We cover all the functions, control points, user defined color preferences and professional level photo editing. - Streamlined Digital Workflow and Inket Printing. In this workshop, we go through how to set up Capture NX for printing by setting up appropriate preferences, cropping, sizing and output.